It is an unlikely sight for February in Boston: 1,000 people walking two miles through wintry conditions. However, this is so much more than a walk during the coldest month of the year. It is a mission to end homelessness, which, according to the City of Boston’s Annual Homeless Census, affects more than 6,000 men, women and children in Boston. ELAHP—which helps patients transition to permanent housing, maintain permanent housing or prevent them from experiencing homelessness–is just one of a number of ways BMC is addressing this critical social determinant of health. In fact, there are programs and groups spanning numerous areas of the hospital, including the Boston Center for Refugee Health and Human Rights (BCRHHR), Project TRUST, the social work department and Socially Responsible Surgery. And while they collectively share the same mission of improving the health and well-being of this population, their names alone are a testament to their distinct role in tackling homelessness and the complexity of each patient’s situation. Having a range of programs and services means patients are supported no matter the need or how they arrive to BMC. In the case of Project TRUST, a drop-in prevention center, its welcoming, safe environment allows homeless clients feel comfortable to discuss what they are going through. “Many of our clients will just come in to sit down in a place where they can feel safe and not judged,” explains Joseph Shay, a biomedical prevention outreach specialist. “That sometimes leads to conversations where clients open up about what’s going on, why they are homeless, what their needs are and we do our best to help them.” Shay also notes in having these conversations, clients are often connected with area organizations. As BMC continues to make strides towards ending homelessness, it is physically taking strides to do so thanks to its athletic fundraising arm, Team BMC. Members of Project TRUST, the social work department, Socially Responsible Surgery, ELAHP and BCRHHR will be participating in the 2019 Winter Walk, joining together to show Boston’s homeless men, women and children they are there for them through every step of their journeys. 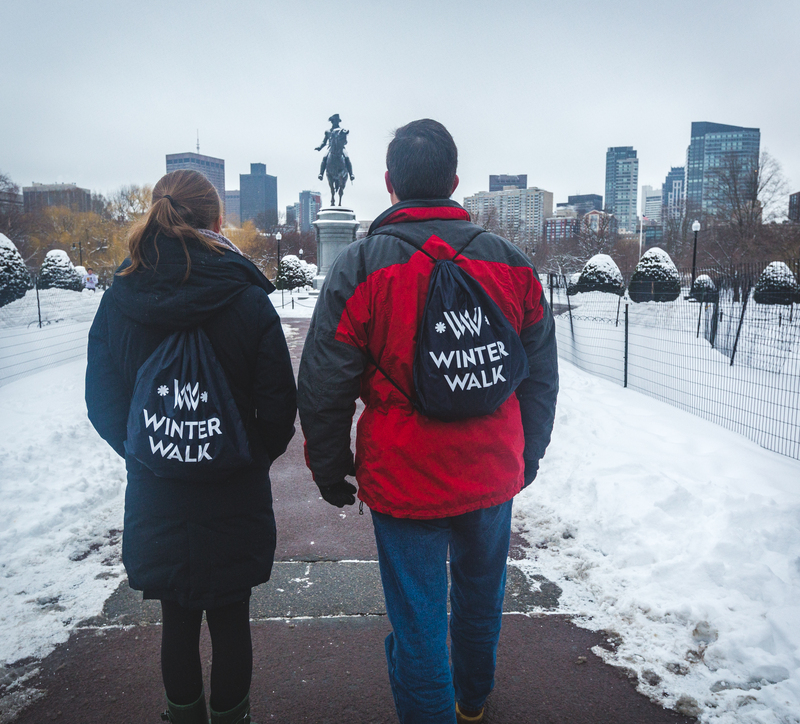 The 2019 Winter Walk is presented in partnership with Boston Medical Center (BMC) and Boston Medical Center HealthNet Plan (BMCHP). Both BMC & BMCHP have been supportive of the Winter Walk since its first event in 2017, and both support BMC’s life-changing programs serving Boston’s most vulnerable homeless adults and children. Join Team BMC in the Winter Walk presented by Boston Medical Center and Boston Medical Center HealthNet Plan—a two-mile walk through Greater Boston in support of Boston Medical Center’s most vulnerable patient population, Boston’s homeless children and adults.